According to Humansarefree, it could be the opening scene of an apocalyptic science fiction film, but it’s just the U.S. military going about its business, building vast and other-worldly architectural structures that the civilian world only rarely sees. 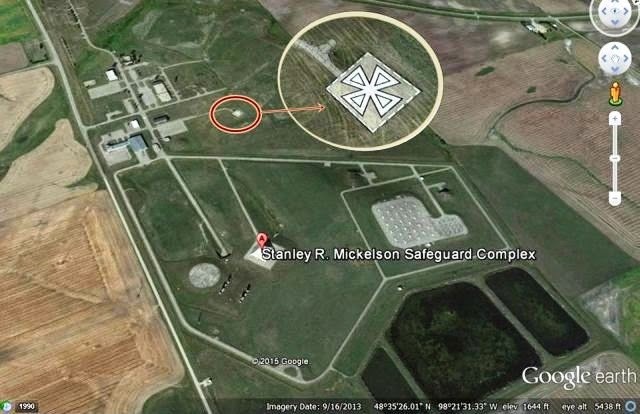 Nemesis Maturity from YouTube did not mentioned it in his video below, but even stranger is a Knight Templar Cross, which is a Masonic symbol, depicted on a kind of landing strip near the pyramid. 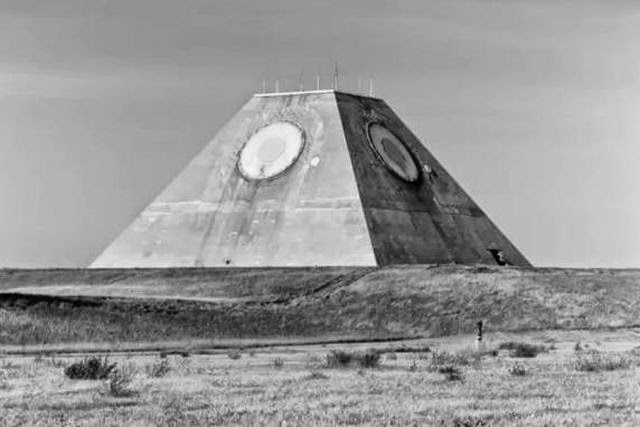 The Stanley R. Mickelsen Safeguard Complex was a cluster of military (underground) facilities near Grand Forks, North Dakota that supported the United States Army's Safeguard anti-ballistic missile program. Officially, the site is deactivated and abandoned, but we may wonder whether there is still activity (military or tptb) in the underground bunker or not, accessible for example via an underground railway system which is connected to other underground facilities.